Arduino is an open source hardware and software prototyping platform that enables you to quickly and easily take ideas and transform them into interactive objects that react to their environment in real time. In this introduction to the Arduino platform we'll cover creating basic circuits using a breadboard, making LEDs blink and sensing temperature and light sensing. You learn how to use and programming the Arduino IDE. Be amazed at how easy it it to integrate hardware and software! Start down the path on creating your own hardware or Internet of things device. You'll need to bring yourself and a laptop. An Arduino kit will be required - you may bring your own equipment or order equipment in advance of the conference (this may require an extra equipment fee). We will communicate with you about this well in advance of the conference. No soldering or electronics experience is needed but programming sills are required. Justin Mclean has more than 15 years experience in developing web based applications and over that time has worked on hundreds of database driven web sites, mobile applications and desktop applications. He has seen significant changes of technology in the industry, surviving the browser wars and the dot-com bubble. Justin has a keen interest in the open source hardware movement and it's huge potential. Justin runs his own consulting company Class Software, runs regular training courses and has spoken at numerous conferences in Australia and overseas. 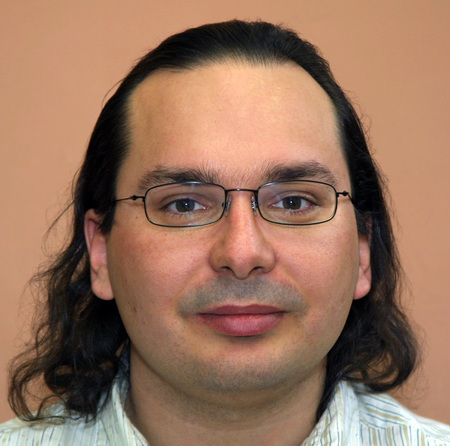 In his free time he's active in the Apache Flex project project including being the release manager for several version of Apache Flex and Flex Unit. He's also co-author of a book on Android mobile development and runs the IoT (internet of things) meetup in Sydney.